New Zealand is gaining popularity as a travel destination due to the wide expanse of nature in the country. While I spent most of my time visiting South Island, it was to ski in the resorts around Queenstown in Wanaka. 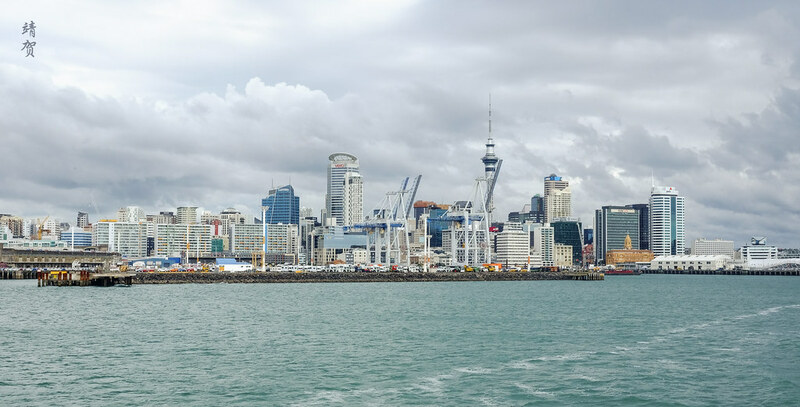 However, Auckland is probably the point of entry for most international visitors on account of the airport and the fact it is the largest city in the country. While it might not be as crowded as Tokyo or as popular as Paris for a travel destination, it does have its charms and great cuisine and I would relate my 2 day stay in this city so that potential visitors could have an idea of how to make the best of their time here. 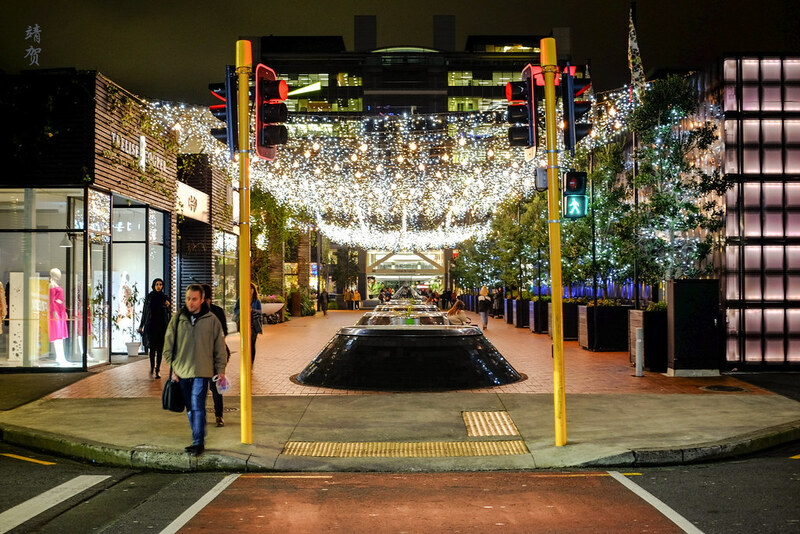 Upon arrival in New Zealand, make your way to Auckland by taxi/Uber or take the train to Britomart Station where it is convenient to walk to several hotels. 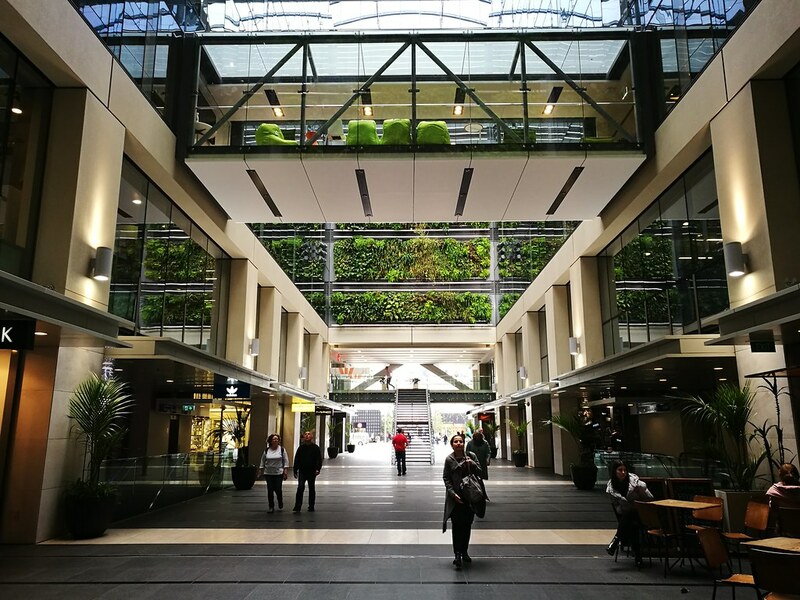 Downtown Auckland is quite easy to cover by walking and with good signage, it is easy to find your way around the city. 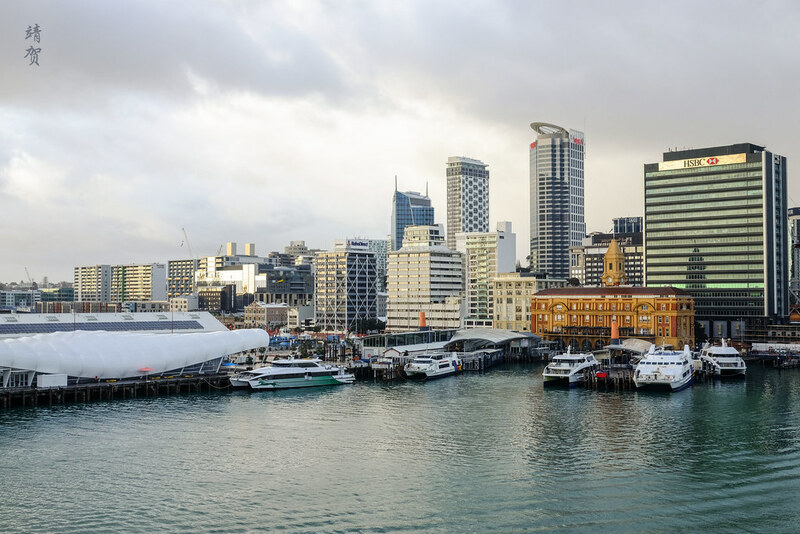 After being cooped up in an airplane cabin, it is perhaps best to start the tour of Auckland by strolling around the harbour, highlighted by the Ferry Building which houses the terminal for trips to the islands around Auckland. Around the Ferry Terminal there are several souvenir stores as well as cafes so stop by for a coffee to perk yourself up if need be before enjoying more of the downtown. From the Ferry Terminal, head east towards Queen Street which can be considered as the epicentre of city life. Here, visitors can find currency exchange counters, supermarkets and high end retailers which makes it suitable for shopping in case you need any daily necessities or to purchase some local produce like Manuka honey and sports apparel made of merino wool. 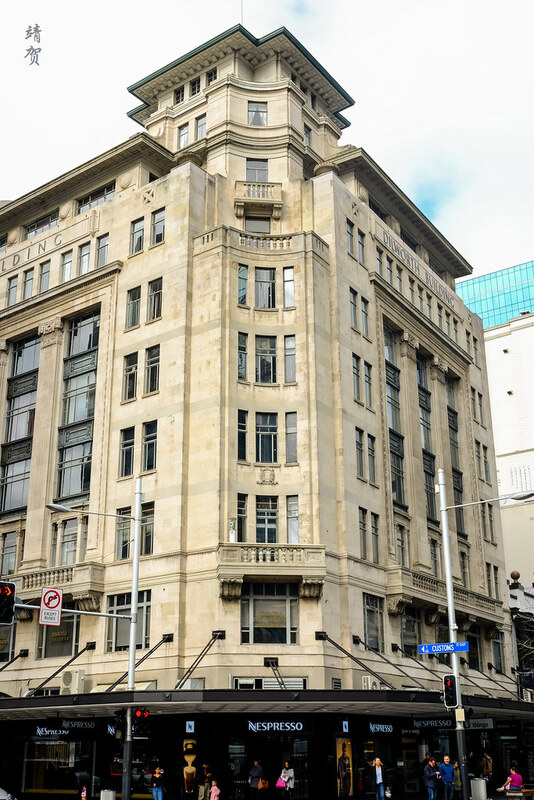 Continuing south on Queen Street, travellers will reach Victoria Street and they can turn east towards Albert Park and the Auckland Art Gallery or turn west towards Sky City Tower which is undoubtedly a landmark of Auckland. Below the tower lies the Sky City Hotel and Casino where one can try their luck but Federal Street where the Sky City is located along is also home to some fantastic eateries in the city. For lunch, head into one of these restaurants and enjoy cuisine made using some of the freshest ingredients from this bountiful country. I picked to have my lunch at Depot, a small rustic looking restaurant with informal bar stools and hipster-chic decor. While the furnishing may not be to everyone’s taste, the food is fantastic to say the least. 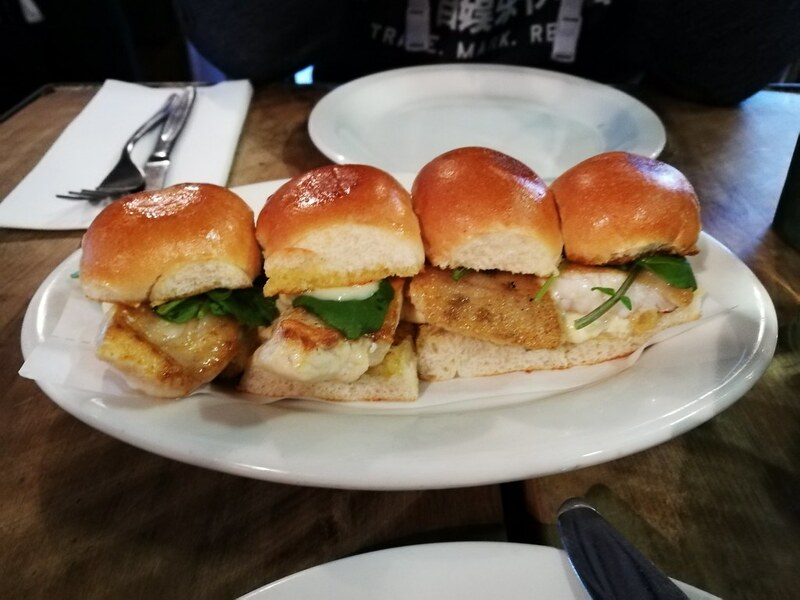 I could certainly recommend the fish sliders which might look simple but is rich in taste. Another dish I enjoyed was the grilled octopus and oysters that is considered a specialty here. With many of the dishes pretty small in portions, diners can certainly order several to share especially when dining in a large group. 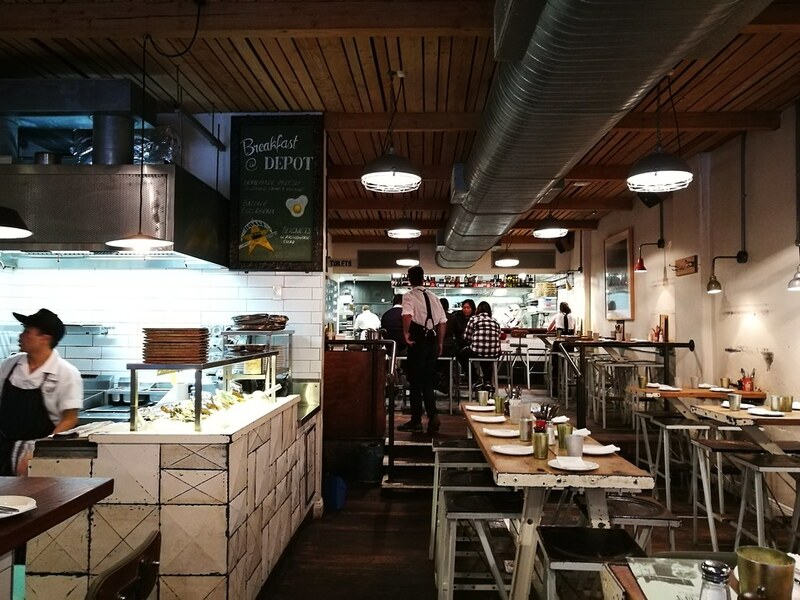 Being located in downtown, the restaurant can get busy during lunch hours on a weekday so come early if your want to go in quickly for a meal! After a nice meal, it is perhaps time to take a walk once again. 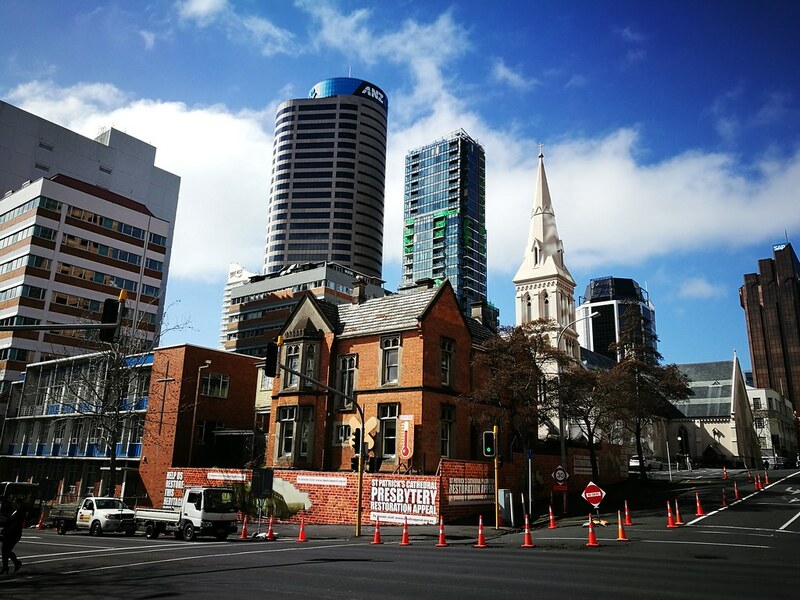 One could continue south towards Aotea Square and the Auckland Town Hall to enjoy the sculptures or just soak in the sun if it is out at this public plaza or head to one of the numerous museums located around town. 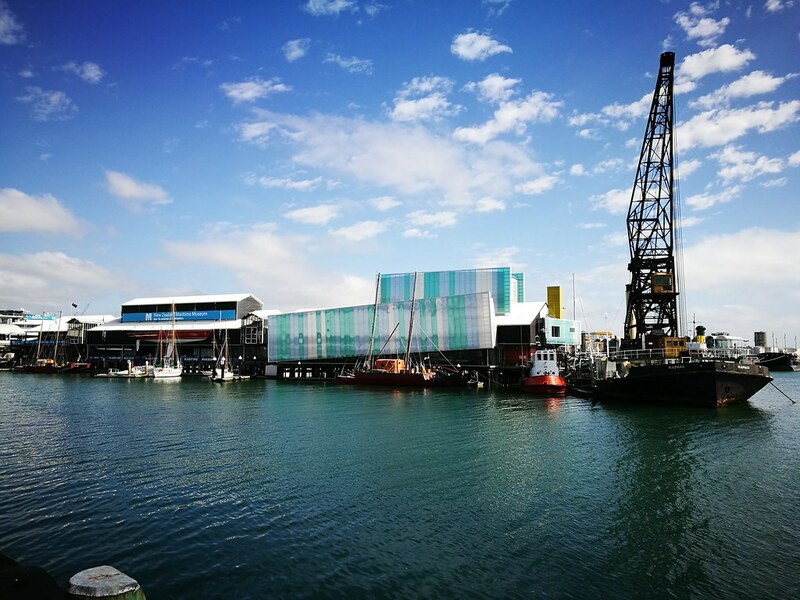 Those staying around the waterfront can certainly consider the New Zealand Maritime Museum which showcases the history of sea exploration in this nation that is surrounded by water. With a small and pretty compact downtown, it is easy to explore the city centre in a day. Numerous cafes and shopping around the city would also keep visitors busy until the evening. As the sun sets, it is time to consider options for dinner. For sure, there are numerous options like in any major city, and international choices abound. Why not try one of the numerous Asian restaurants? From Japanese sushi and teppanyaki, Korean BBQ to South-east Asian noodles and stir-fry, there are plenty of good and cheap options to satisfy the hungry stomach. 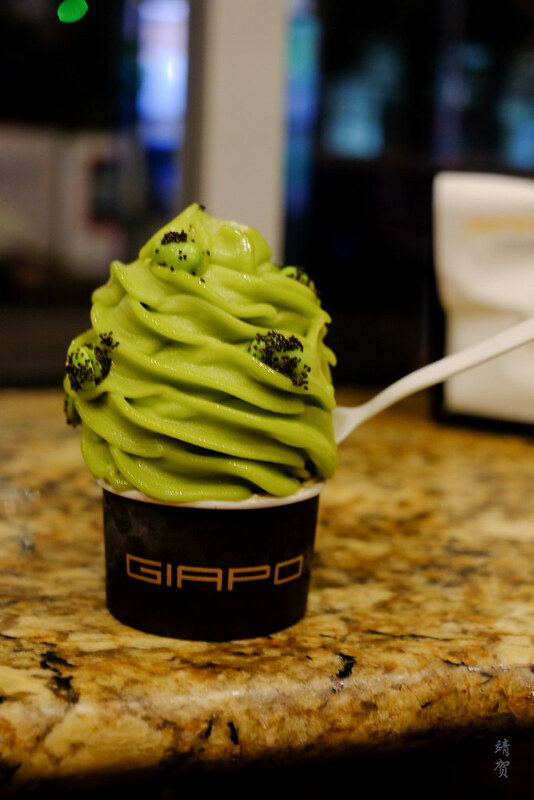 And to end the day, head to Giapo located on Gore Street for dessert. They have some amazing ice cream creations with a retail concept that is unlike any other ice cream store. And with classic New Zealand flavours like Hokey Pokey, it is quintessentially local! 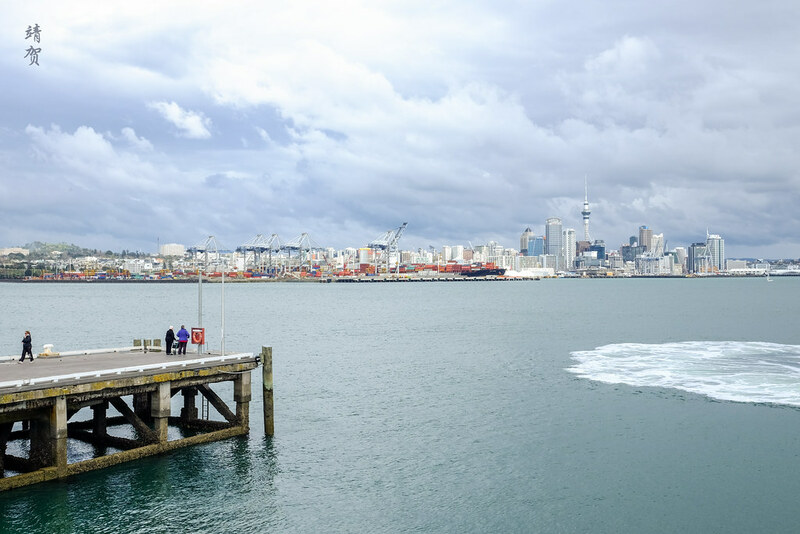 On the second day, embark on a journey of nature exploration by taking a 40 minute ferry ride from the Ferry Terminal in Auckland Harbour. With departures between every 15 to 45 minutes, there are plenty of schedules to choose from, making it convenient. Fullers Ferry operates the service to Waiheke and includes other destinations such as Devonport and Rangitoto Island. When the sun is out, head to the upper deck for great views of Auckland’s city skyline on the sailing out of the harbour. 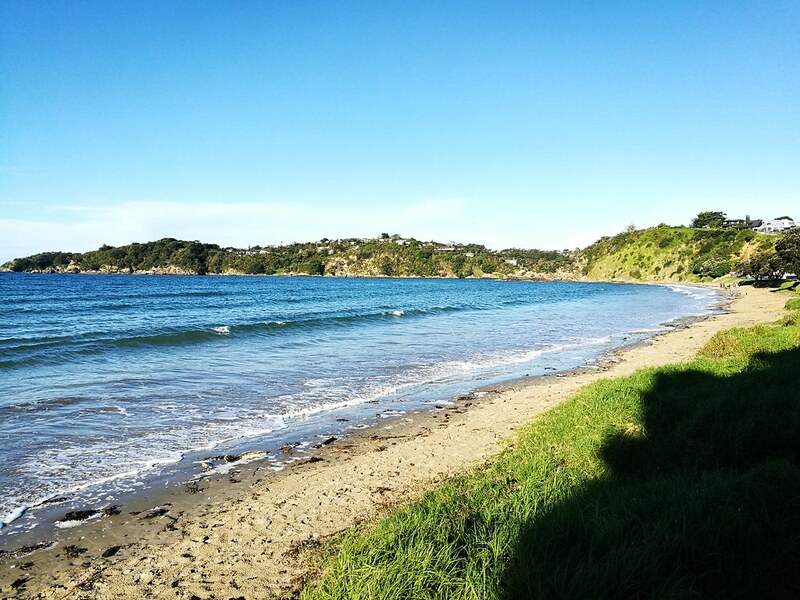 Upon reaching Waiheke Island, travellers could either rent a car, bike or just use the buses to get around this charming island. Those craving for convenience would enjoy the Hop-On/Hop-Off Coaches and tourists could just get the tickets at the ferry terminal in eastern Waiheke Island. While those who rented a car in Auckland could take the Sealink ferry service that takes in cars from Half Moon Bay to arrive at Kennedy Point in the southern tip of the island. 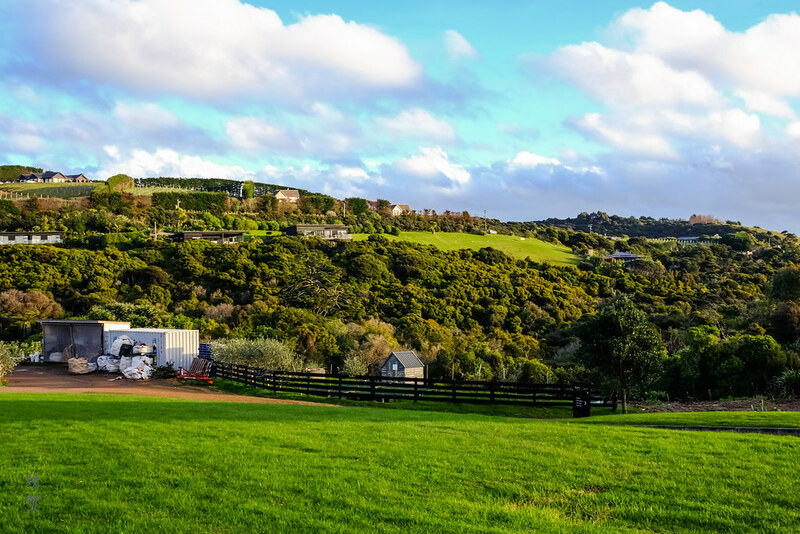 Waiheke Island is famous for its vineyards and has become a weekend getaway spot for locals living in Auckland, making it easy to sign up for wine and food tours in the island. Otherwise many of the vineyards here welcomes members of the public for wine tastings and tours. Some even has restaurants that whips up local cuisine for visitors. One of them is Stonyridge Vineyard located near Onetangi Bay where reservations at its restaurant is recommended if visitors plan to eat there. For wine tasting, a pleasant outdoor garden and patio provides the perfect setting to enjoy their wines with amazing views! Several other vineyards like Te Motu and Tantalus Estate are located beside Stonyridge, making it easy to visit a few at one go. The vineyard is also accessible by a short hike to the suburb of Onetangi with is large beach and waterfront. 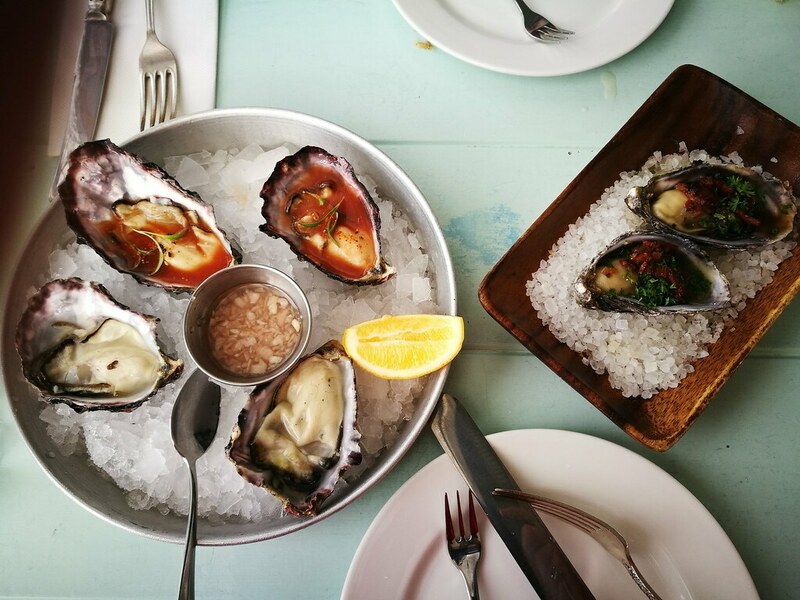 Another favourite spot to dine in Waiheke is at The Oyster Inn in the suburb of Oneroa. 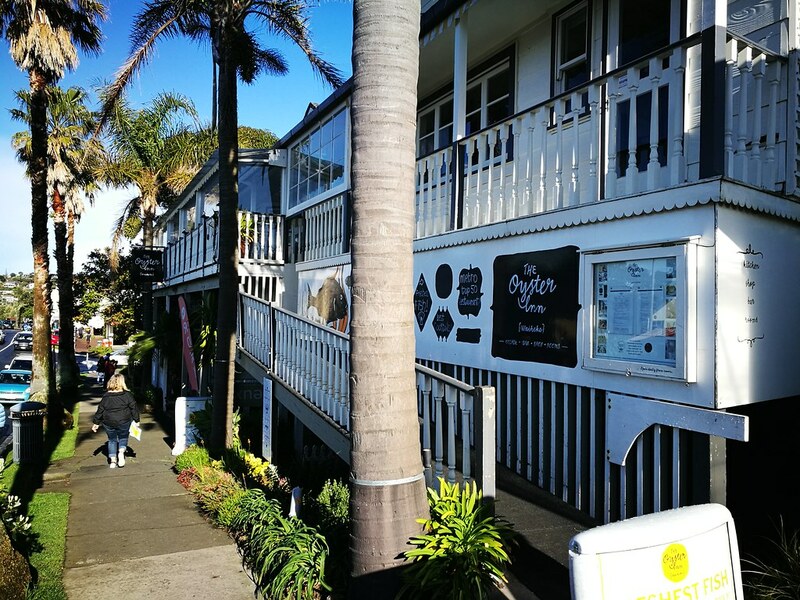 The Oyster Inn houses a luxury boutique hotel as well and has a quaint restaurant on the second floor located right in the middle of the town centre with a bay view from the patio. As the name of the restaurant suggests, oysters is one of the specialties here and they are indeed fresh and delicious! They even prepare it in 3 different ways for diners to enjoy! Being an island, seafood is highly recommended as well, and during our visit small school prawns was in season. 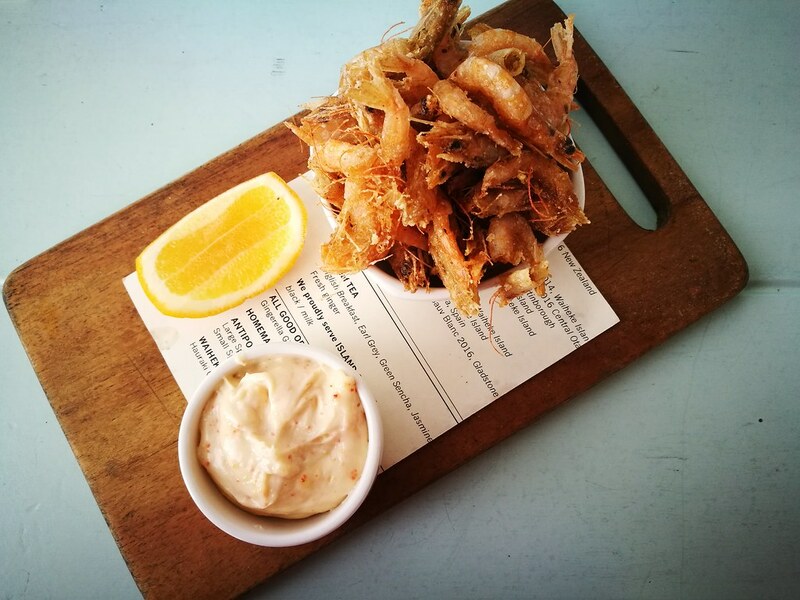 Deep fried, these prawns make it feel like nibbling on ‘fries with eyes’ as the restaurant’s menu suggests. Oneroa can be considered the centre of Waiheke as it is where many of the island’s residents come to do their errands with the larger grocery stores and post offices located here. Visitors looking for local wines would also find a well-stocked wine shop here. Another draw here is of course the bay views and when the weather is pleasant, strolling by the beach after lunch is always a great idea! In the afternoon, there might still be time to spare to visit another winery or two before taking the ferry back to Auckland. 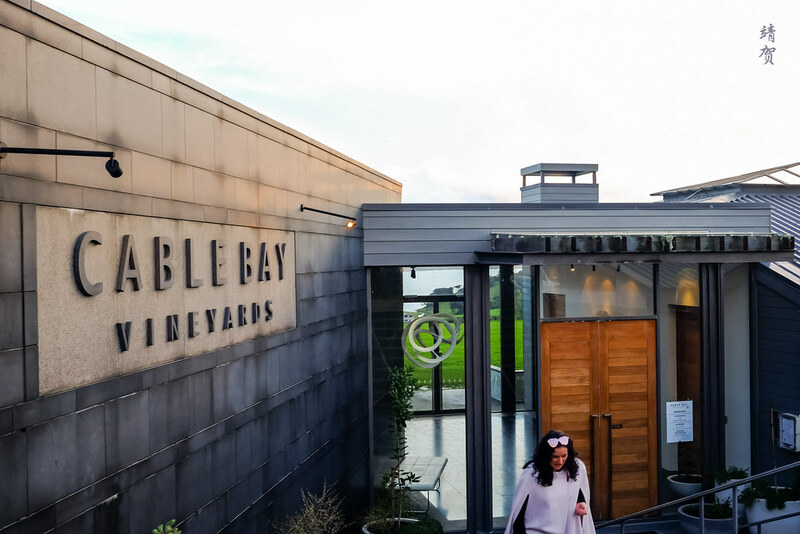 Cable Bay Vineyards and Mudbrick Vineyards are located close to the ferry terminal and Oneroa making them the feasible choice if you are short on time. Both are also located along the Hop-On/Hop-Off Bus route. 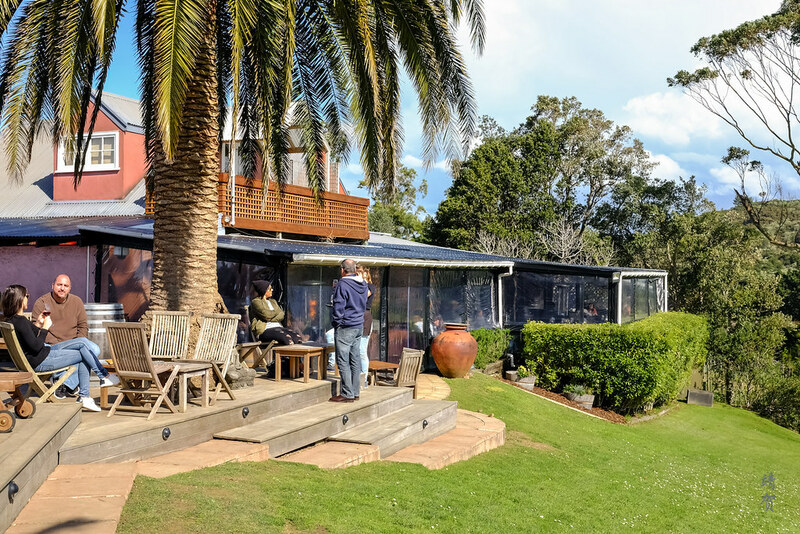 Mudbrick even has a well regarded restaurant on-site to enjoy the sunset in the island. On your return to Auckland, if there is still some energy left, head down to the the Britomart Transit Centre. From there there is a pedestrian walkway all the way to Takutai Square where there are places to shop and eat as the sun sets. With numerous restaurants in the area having an outdoor dining area, it is a great place to dine under the city lights. 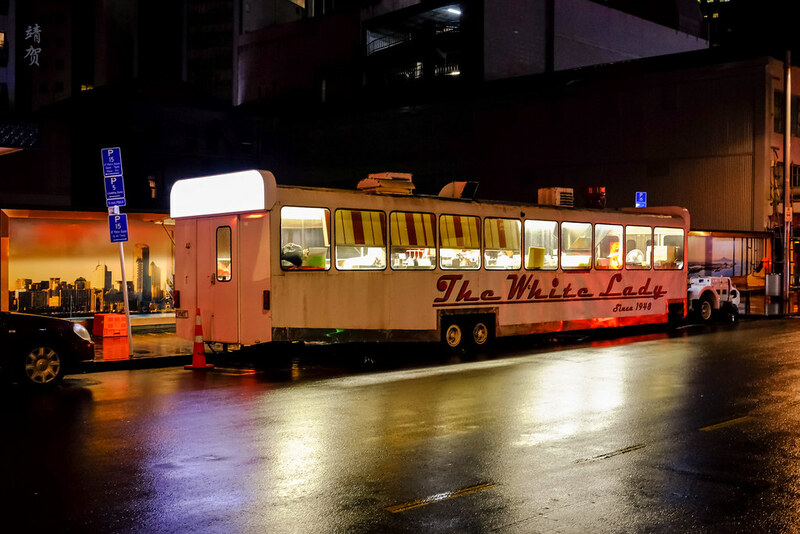 Alternatively, visitors to the city would also be able to find several food trucks around downtown and there is even an established diner serving burgers and shakes called The White Lady. 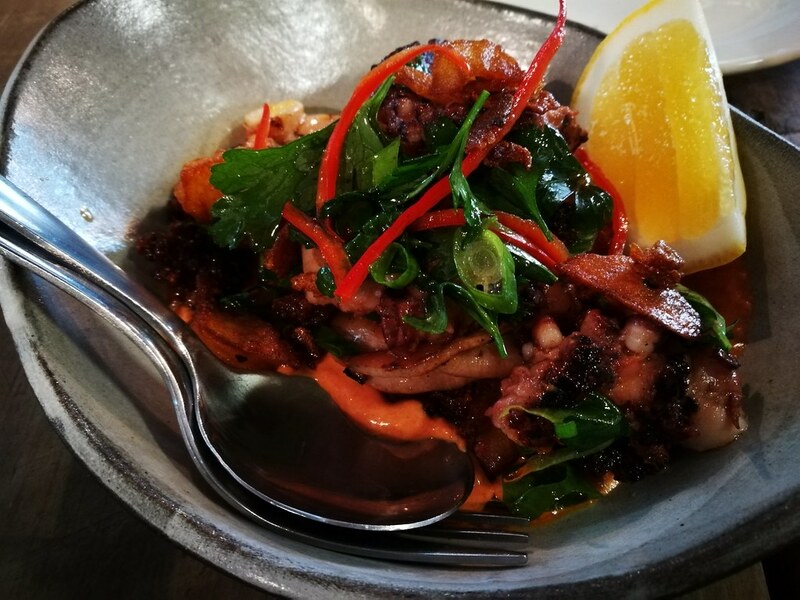 When the sun sets, it is definitely easy to find food in Auckland! To make the most out of your last night in the city, consider visiting the Viaduct Harbour area located west of downtown. This modern residential area has several high end restaurants and bars with a waterfront view. It gets crowded and noisy at night especially on the weekends with live performances and urbanites enjoying the night out with a couple of drinks. The lights of the city looks magnificent here and would be a perfect end to an eventful 48 hours in the city. 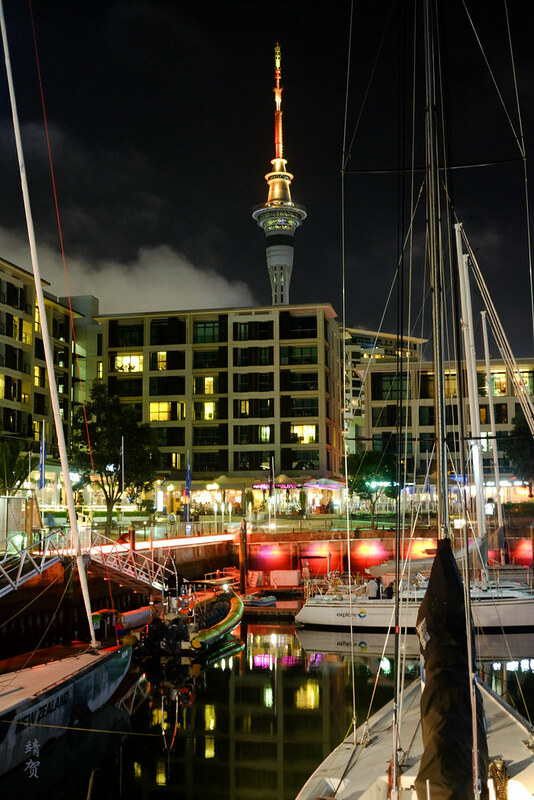 Auckland is one of the city that is small yet enjoyable, for it has the usual draw of an urban area from an international food scene to being convenient for getting around. And yet, just close by are plenty of nature spots to unwind and relax in beaches. To me that is the draw of visiting Auckland as it seems to have something for everyone and thus allows a great time to be had for all!